We have been visiting to Artfriends ever since we started on our DIY for our solemnization. Can't remembered how many times we actually went! Lol! 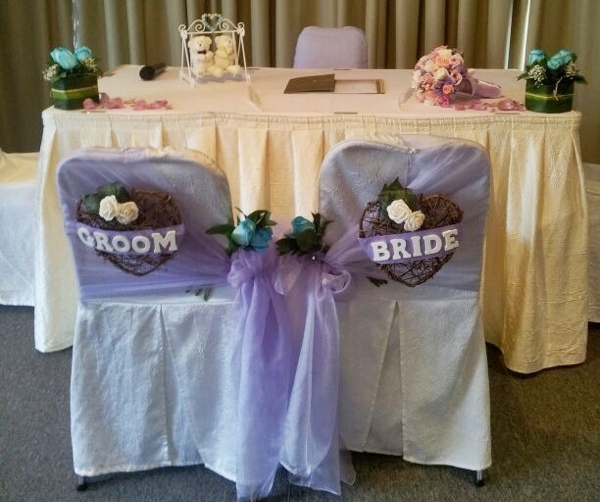 This post, I am going to share about the solemnization chair decoration that we have did. These wooden letters are from Artfriends. It took us quite some times to collect all the alphabets because they are always out of stock! We have been visiting both Bras Basah and Ngee Ann City branch YET we still couldn't complete our "Groom and Bride" =( We started to collect these alphabets in Feb and even until June, we still couldn't get the letter E. In the end, he had an idea. He actually used two "F" to form the letter E. Haha! Good idea uh? 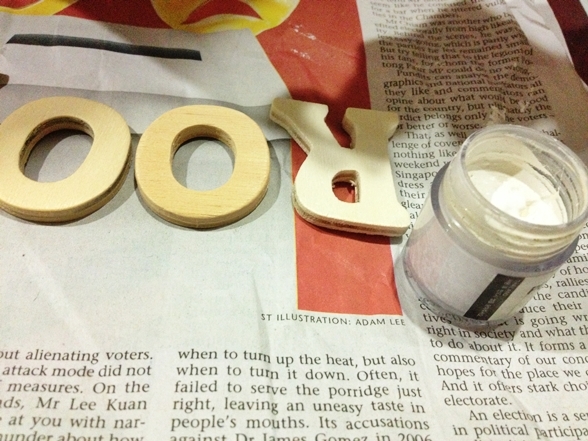 We actually paint the letters into white because we feel that wooden colours will not really stand out those letters. He is in charge of this. I am glad he is good in art too. Hahaha! All the letters were painted with white paint. 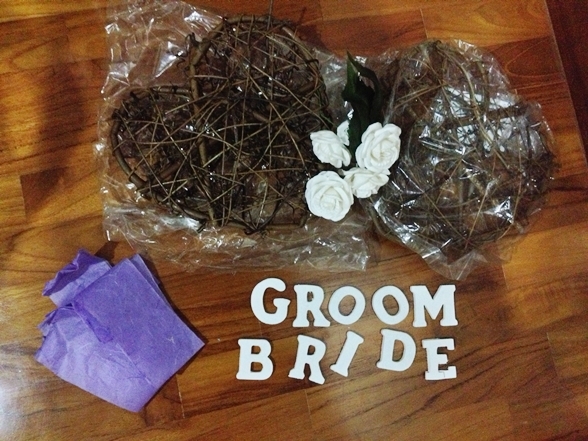 Items needed for this solemnization chair decoration. Tadah! This is the end product. You won't notice the E is made up of two "F" anyway. Hehe! 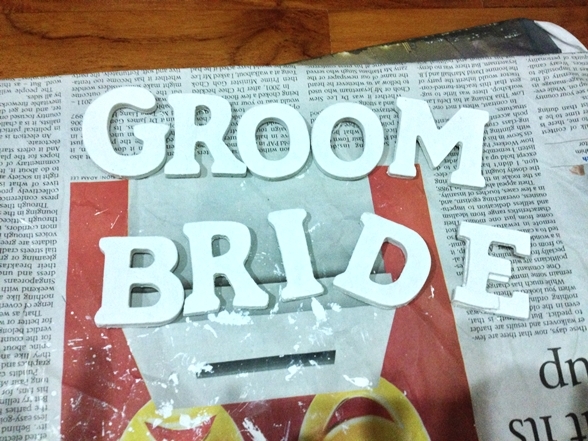 Sneak Preview: this is how they are used on my actual solemnization day. (Photo taken from Felicia) Not sure if anyone notice about them. I hope they did. Super satisifed with what we have did. Love it. Why u wanna sell them? 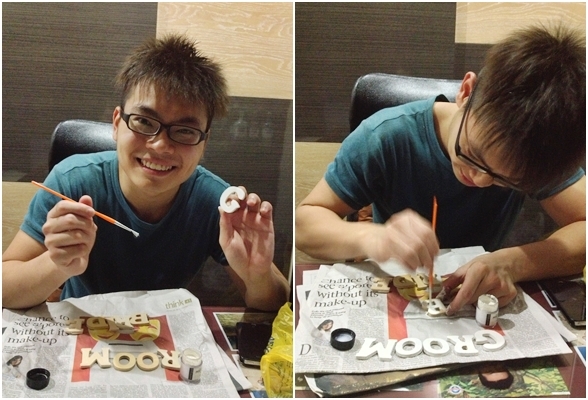 Since u guys DIY it, it should mean something to u.
Hi, is the "DIY Solemnization Chair Decoration" still available? Hi Katty, may i know where you bought the heart shaped deco?